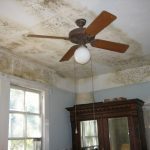 Jenkins Environmental restores properties suffering with mold or biohazard issues in Dallas and Fort Worth, Texas. 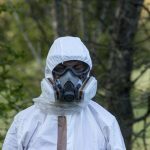 We handle specialty projects such as Mold Removal, Biohazard Recovery, Crime Scene Cleanup, and Trauma Cleanup and provide the highest quality of safe, timely and efficient in-house environmental services. Contact us today with the form below or at 888-606-0970 to for fast, compassionate service. Use the form below to tell us about the situation you need help with in the Dallas Ft. Worth area. “We had a significant oil spill and a team from JES did great work. Later, we had a lingering odor from it and they immediately responded and came back in and reset the things without any questions and fixed it. The people are all terrific. They drove all the way from Virginia to Maryland to be here at 8 in the morning. We were thrilled.